East Of The Wall announces new lineup. East of the Wall is excited to announce its new lineup. Joining the band are guitarist Chris Alfano and drummer Seth Rheam. Both played in the band Biclops with East of the Wall bassist Brett Bamberger and guitarist Kevin Conway. Due to the merging of the two bands’ lineups, all music created by the aforementioned collective, along with guitarist Matt Lupo, will be released under the name East of The Wall. This will include the release of the groups next record, Ressentiment, due out next summer through Translation Loss. With this lineup change, East of the Wall has parted ways with original drummer Mike Somers. The band would like to thank Mike for his outstanding musicianship and hard work since the inception of the band. 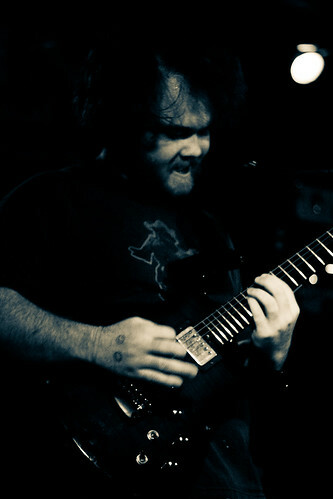 For more on the bands thoughts about the lineup change and other upcoming projects, please visit eastofthewall.com. We are extremely excited to share some news with all of our fans, friends and; family….. East of the Wall has signed to Translation Loss! We are so fortunate to be on a roster full of artists who we respect and appreciate so much, not to mention having this excellent opportunity to do business with such a hard working operation of great people. On the road ahead we will be focusing extensively on writing, recording, touring, touring, touring. Translation Loss will be releasing an split with Rosetta, Year of No Light & East of the Wall this December which will contain three new tracks from our camp. We have about half of our next full length written, which thus far in content is a bit more technically involved than our last LP. Keep up with us for news on releases and tour at www.eastofthewall.com & myspace.com/eastofthewall. We want to extend our thanks to all the people who have helped us along the way, most especially Brandon Helms, Dave Grossman, and Dave Witte. Looking so forward to our time ahead with TL.